Earlier this month, we facilitated a session with some LeanPath clients to discuss best practices to utilize the LeanPath System and reduce more waste. Throughout the conversation, there was a common theme: Reducing food waste starts with cultivating a positive, waste-aware culture in the kitchen. Once your team is on board, reducing waste becomes second nature, resulting in less food wasted and more money saved. Keep a white board in your kitchen so employees can write down ideas for reducing waste. 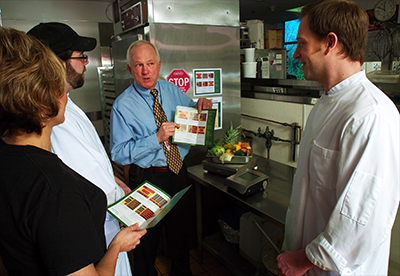 Stay positive—make reducing food waste fun and engaging for staff. Switch from pre-cut produce to preparing fresh produce in-house; this can help you reduce waste by giving you more control. Repurpose edible food—those bread heels that have been ending up in the garbage are perfect for making croutons or breadcrumbs. LeanPath users have the advantage of having specific opportunities highlighted for them in their waste data, but any kitchen can start looking for opportunities by paying closer attention to waste. Remember to keep the food waste reduction conversation positive, not punitive. Preventing food waste is a good thing, and we'll do it better if we work together.